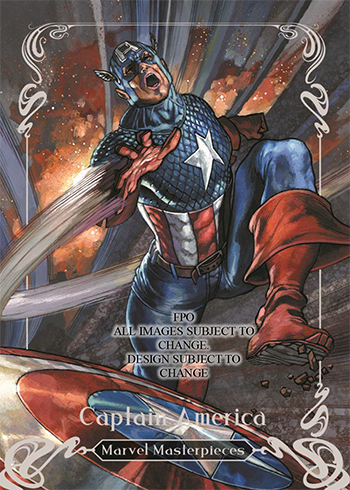 2018 Upper Deck Marvel Masterpieces is a trading card showcase for the talents of Simone Bianchi. 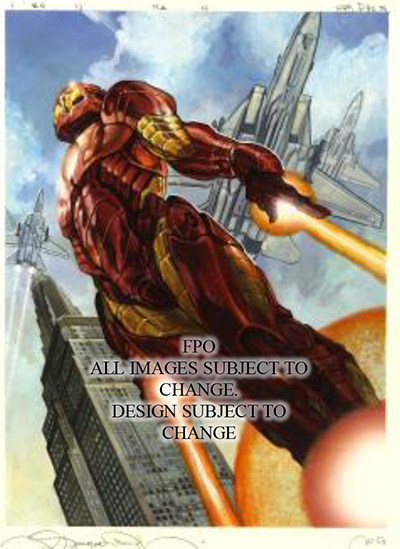 Similar to the brand’s 2016 reboot focused on Joe Jusko, this time around, Bianchi provides more than 130 new pieces of art for the high-end release. Boxes of 2018 Upper Deck Marvel Masterpieces have a dozen three-card packs. Each pack has one base card plus two parallels or inserts. Bianchi lets loose on the heroes, villains and other residents of the Marvel Universe in the base set. Like 2016, all base cards are serial numbered. Further adding to an already challenging configuration is the fact that there’s a five-tiered structure to the main part of the checklist. That means that some of the cards are short prints. Tier 1 cards kick off the checklist and come numbered to 1999. Things get progressively tougher the further down the checklist you go (Tier 2 – /1499, Tier 3 – /999, Tier 4 – /99), at least for the main 90 cards. The final ten are Canvas Gallery cards. These aren’t numbered but land 1:13.5 packs. Canvas Gallery cards are not in most of the parallels. In addition to regular color-based parallels for the first 90 cards, there’s a series of "What If?" cards that reimagine the base artwork as a comic cover. These take a similar tiered approach, although in slightly smaller numbers versus the base set (Tier 1 – /1499, Tier 2 – /999, Tier 3 – /499, Tier 4 – /50). Not surprisingly, sketch cards are a big part of 2018 Marvel Masterpieces, landing one per box. Other one-per-box inserts include Holofoil and Battle Spectra. There’s also a Preliminary Art card that shows the early steps of an art piece. These include artist comments as well to further showcase the process. Battle Spectra cards have Gem parallels numbered to 99 while Holofoil cards have parallels with 99 and 25 copies each. Case hits come in a couple of levels. First, there’s Original Art Autographs featuring Bianchi. One or two of these land in each 12-box case. There’s also a lenticular Mirage card that cycles through four different images. 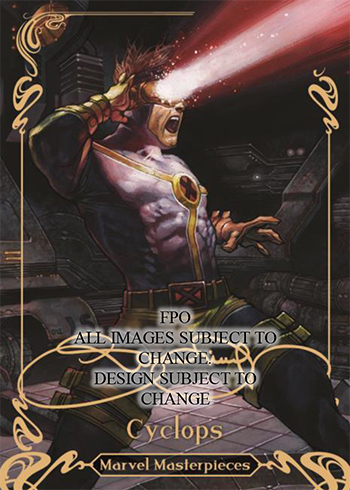 Mirage cards are one of the early high-end inserts from the original Marvel Masterpieces run in the early 1990s. 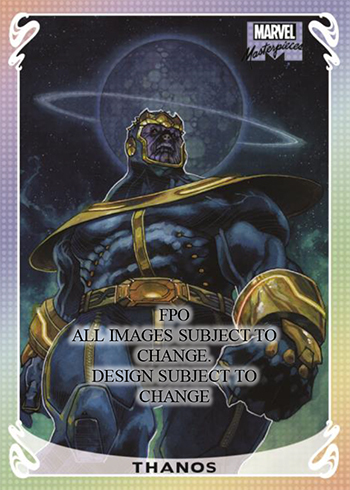 2018 Upper Deck Marvel Masterpieces has some premium redemption pieces as well including original art used in the making of the set as well as some of the original layouts. Redemption cards good for uncut sheets are also randomly inserted. Bianchi is one of the most renowned artists working in comic today. He’s been with Marvel exclusively for more than a decade. The Italian does both covers and interiors and has worked on several high-profile titles.